This is another one of those, “I like it, but what the heck can you do with it?” baskets. I call it a French hanging basket. I know you can put fake flowers in it, but I didn’t want to do that. 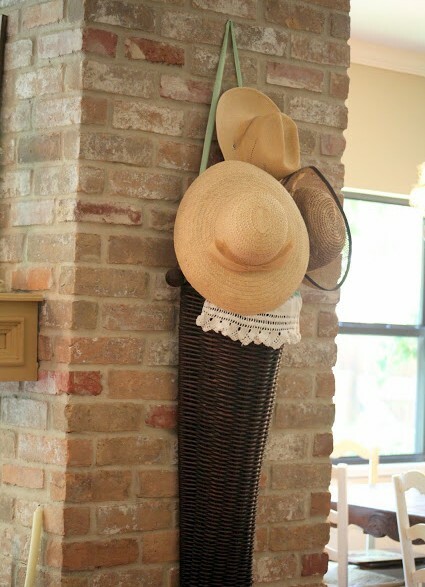 At the old house, I added hats to the basket for a different twist. Yes oddly weird, and yet, I liked it. In the new house, the basket sat in the closet for 9 months, until I realized I had bought some wheat that I wasn’t using. I know, who had unused wheat sitting around their house? Me apparently! See how it looks like the basket was made to hold the wheat? I’ve hung the basket on the wall in my living room. I thought my Downton Abbey pillow worked perfectly in here. If you are new here, this is my kind of project. Step 3. Hang basket on wall. I wish I had added a bit of color to the shot for you, but it’s too late now. Just use your imagination. I think I’ve done enough work for one day. It’s nap time. Downton Abbey pillow courtesy of Heritage Lace. Well I think the sublime colors are just fine, as far as the basket goes, but where on earth did you get the chair???? I LOVE that chair!!! The slip cover is adorable. Please do a post about it…. I like the idea of using real wheat! I’d like to get rid of all my silk flower baskets that now are only dust collectors. Perhaps the cotton sprigs from Décor Steals could work, but the basket would probably have to be stuffed with something if the sprigs weren’t long enough. I love the simplicity and look of your basket! I think pussywillows would look great and they last forever. 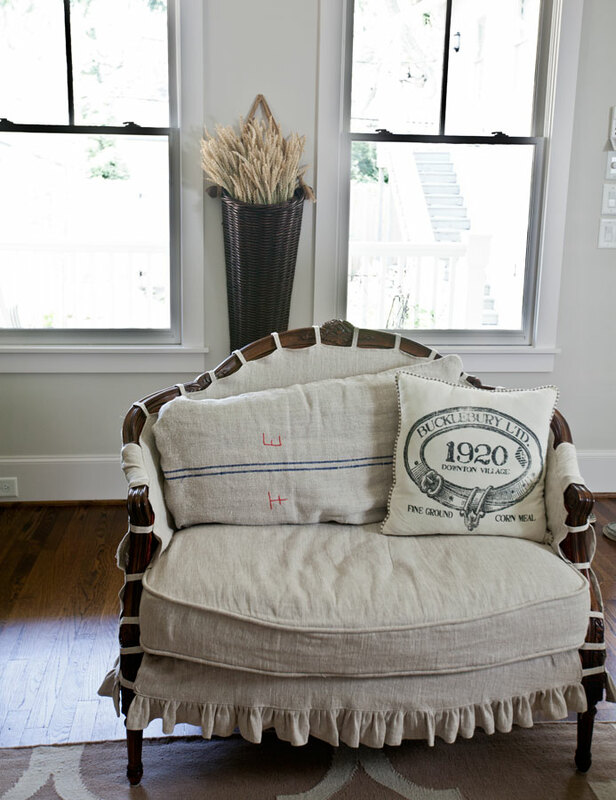 I love your slipcover! Leanne, it would!!! I love pussywillows too, but haven’t seen them since I moved to Texas when i was 15. This is perfect behind the setee. I love those baskets Anita… I finally found a similar one at the Country Living Fair this year! 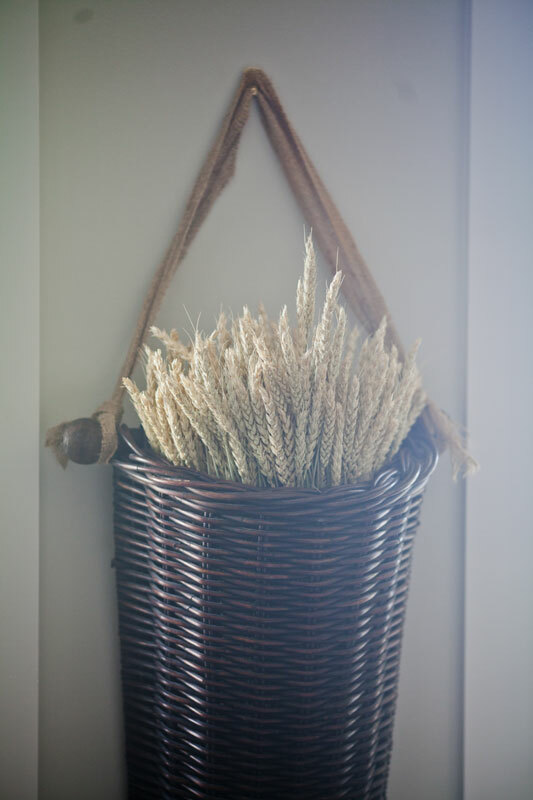 I hung mine in our hallway and filled it with a dried wheat looking arrangement I picked up at Hobby Lobby. Yours looks so pretty in between the windows! It’s lovely with the wheat, but it would also be very nice with dried hydrangeas. In winter I’d be tempted to fill it with cedar and holly. I think you could have a lot of fun with it. Simple elegance is one of your many talents. And I like the EZ 1-2-3 of this. Love that country basket! So cute & charming !! I need one for Fall hehe. relegate it to the garbage? I think maybe some soap and water with a brush would work, but I am not an expert on cleaning. Oh Anita, the other day I was at a great thrift shop here in town, they had hanging a tussy mussy woven read basket with a yellowish natural tone to it, I pondered getting it then opt not to….Darn ! What was I thinking? 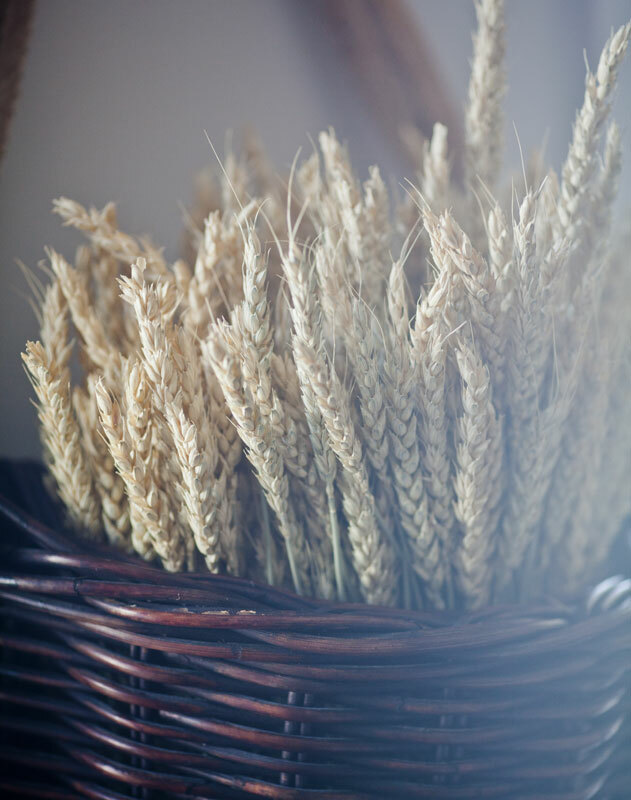 You have made this basket of yours with the wheat look amazing all over again for your new home. But before I leave, I have to mention the love sofa/sette dressed in the best slip! I love it, and you have placed it wonderfully with the light of windows to show it off, the pillows charm it perfectly in all it’s Frenchness. I think grapes maybe Shirley. I JUST pulled my French hanging basket out of storage and I’m still trying to figure out what I’m going to do with it. I had the predictable dried flowers in it before. We’ll see what I use next! LOVE the basket! LOVE your humor! LOVE your blog! OH this is perfectly beautiful – and now absolutely HAVE to have one!